At the age of 15, Berg, born to an affluent family, had already begun to compose music ö initially only vocal music. Through arrangements made by his brother, he was able to study composition under Schönberg between 1904 and 1910, completing his first instrumental compositions at that time. His inheritance at the age of 21 in 1906 made it possible for him to devote himself entirely to his development as a composer. In the last compositions which Alban Berg wrote under the watchful eye of Schönberg, he perfected his change to atonality, which became characteristic for him during his later creative period. With Fragments from Wozzeck, a reworked concert version of Berg’s opera based on Georg Büchner's Woyzeck, Alban Berg succeeded in making his breakthrough in Frankfurt in 1924. The opera Wozzeck debuted at the Berliner Staatsoper in 1925 under the direction of Erich Kleiber. Violin Concerto in Memory of an Angel, 1935 The violin concerto, which Berg completed several months before his death, has definite characteristics of a requiem. The American violinist, Louis Crasher, was chosen for the performance. In it he deals with the memory of the tragic death of 18-year-old Manon Gropes, the daughter of Alma Mahler-Werfel and her second husband, architect Walter Gropes. It effected Berg so much that he wanted to incorporate this traumatic experience in his violin concerto. It is not only the requiem for Manon Gropius but also his own requiem. Berg planned the violin concerto as a twelve-tone composition. A conceptual transition is clearly felt in the Bachian choral movement: "It is enough, Lord. If you are pleased, then I am at ease" from cantata no. 60-0 "Eternity and thunder were to be felt". 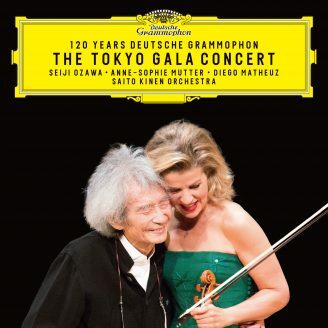 Anne-Sophie Mutter comments: "For me this lament is the most moving section of this wonderful piece of music, which can also be interpreted as a description of sorts of Manon Gropius' life. The first movement, with its folk music elements from Austria's Kärnten region and Vienna, document Berg's sheltered childhood. After the cry at the beginning of the second movement, the catastrophe of the inescapable begins - the end of life. Only the Bachian chorale, which is often taken up by the wind section in reverse order, offers comfort. At the end, during the last violin hymn, the soul of the sufferer is allowed to ascend to heaven.